What a boring subject for a post. We are introducing barcode readers to our very own EthOS (ethnographic) App. You know the scenario. A household returns from shopping and scans everything they buy before submitting it as an entry under, 'things I bought during my weekly shop'. OK, it is a little boring. What if there was a way of scanning a barcode using our App to create an instant 'mini' project. No need to pre-recruit respondents. Anyone can scan a barcode and, hey presto! you have a small set of tasks to respond to. Still not sure what I am talking about? Here's a scenario. Are you listening McDonald's? I visit a McDonald's restaurant and get myself a 6 nugget meal with Coke. On the box of nuggets is a 2D barcode with a message saying something like 'Get free fries for completing this task'. You scan the barcode using our App and are prompted to 1) take a picture or video of your meal and 2) say with the audio tool how hungry you were and what made you choose McDonald's. Perhaps not the most stimulating questions but you can change them regularly depending on what you are trying to explore. 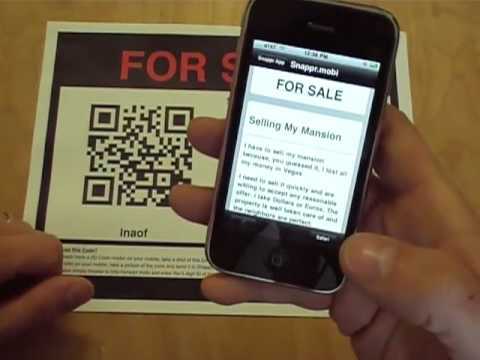 You can attach barcodes to ANYTHING and cheaply. To restaurant doors, supermarket food items, even a donkey on Margate beach front to provide feedback on your ride. Wrote about the H&M approach to using 2d bard codes (visual tags) to support impulse buying a couple of years ago. I think one of the biggest hurdles is the intelligibility issue of "what is this?" which is certainly easy to deal with as long as a context for the visual tag is provided. The Weather Channel's attempt to use them failed in the latter sense.